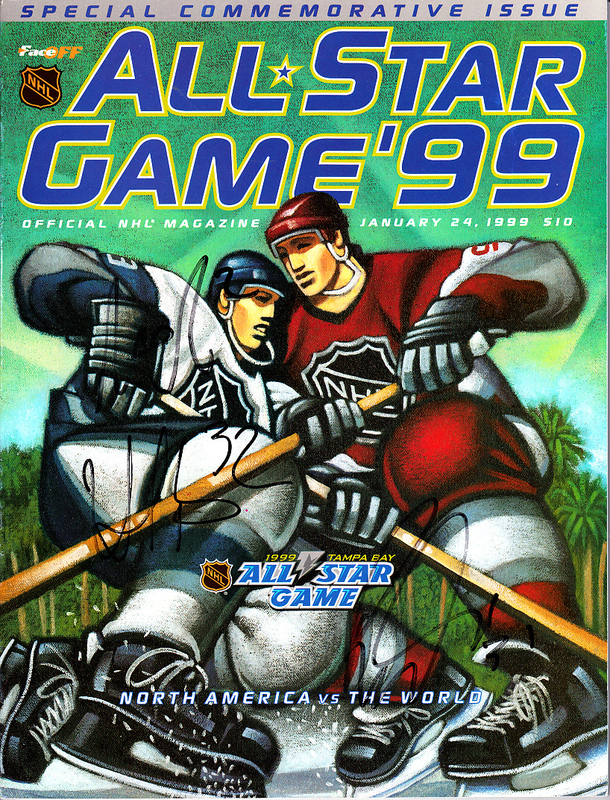 Complete 1999 NHL All-Star Game program (hosted by the Tampa Bay Lightning, the last played by Wayne Gretzky) autographed on the cover in black marker by starting goaltenders Arturs Irbe (World Team) and Ron Tugnutt (North America) plus Hall of Famer Al MacInnis. 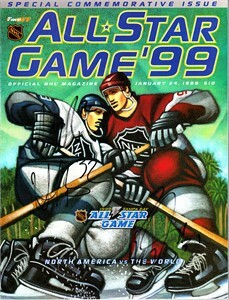 NOTE: signatures have streaking due to glossy cover. Obtained in person at the event hotel. With certificate of authenticity from AutographsForSale.com. ONLY ONE AVAILABLE FOR SALE.